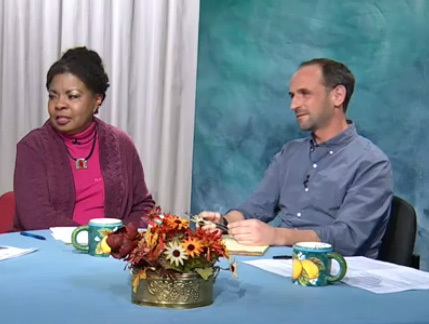 Three Palo Alto Weekly journalists joined Henrietta Burroughs to discuss national and regional news stories impacting the Palo Alto area on Talking with Henrietta: 2018 Year in Review. The panelists pointed out some of the #MeToo movement’s direct links to the Palo Alto community. Christine Blasey Ford, a Palo Alto University professor, testified about her sexual assault at the Brett Kavanaugh’s Supreme Court nomination hearing. The recall of Judge Aaron Persky after his lenient sentencing of Stanford student Brock Turner’s sexual assault case and the handling of Google executive misconduct are being dealt with locally and nationally. In 2018 inequality was a continuing theme with housing challenges being one of the main pain points. As rents and housing prices have gone up, people are priced out of traditional living situations. Bulky RVs line the street of East Palo Alto and are filled with people who can’t afford local rents. Reporter Sue Dremann spoke to people with jobs at Stanford who have homes four hours away but decide to sleep in their cars so they can be closer to work. Watch this episode of Talking with Henrietta for more 2018 newsworthy issues impacting Palo Alto and beyond. Find out top story predictions for 2019 too!